Blc. 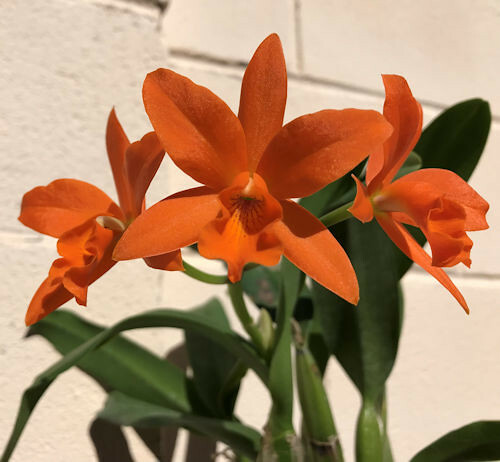 Orange Treat 'NN' - Orchid Board - Most Complete Orchid Forum on the web ! Brassolaeliocattleya, abbreviated Blc. 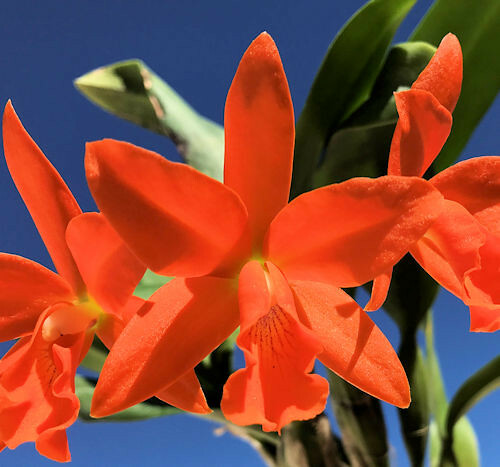 in the horticultural trade, is the orchid nothogenus for intergeneric hybrid greges containing at least one ancestor species from each of the three ancestral genera Brassavola, Cattleya. Laelia, and from no other genera. As the name was used in 1999, there were many greges which were among the most spectacular of cultivated orchids, being particularly valued for the large showy labellum. 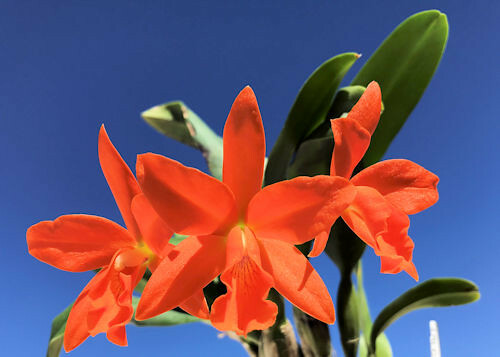 By 2009, the Brassavola parents most commonly used in producing Brassolaeliocattleyas had been moved into the genus Rhyncholaelia, and the "Laelia" parents most commonly used in producing Brassolaeliocattleyas had been moved into the genus Cattleya. As a result, most of the greges that were classified as Brassolaeliocattleyas in 1999 are now classified in the nothogenus Rhyncholaeliocattleya. But, I will abide by its tag as I inherited it. 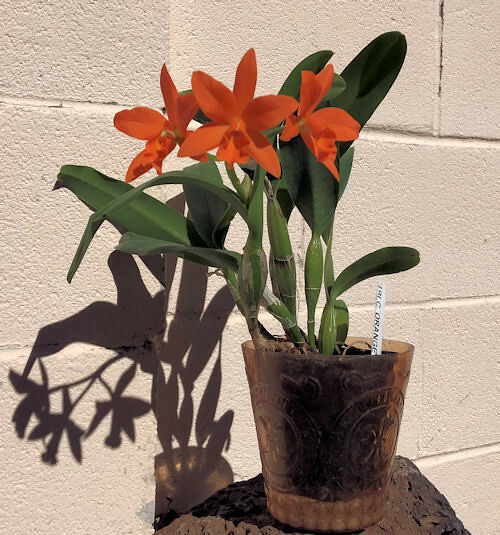 I do a Cattleya culture for this orchid plant. It is currently located at the westside windowsill with an electric humidifier with small fan. Fertilizer is on hold since it is winter, and I will resume to feed it in the warmer months and put it near a shade outdoors in the summer. This has a pleasant smell like a heady jasmine if you bring it close to your nose. Last edited by Bud; 01-30-2019 at 03:22 PM..
Last edited by Bud; 01-30-2019 at 03:19 PM.. I really like it! The flowers are really a lovely color! How often does it bloom? Thanks for the visit Leafmite! This is barely a year old in my care. I am lucky to have at least three flowers. I have seen it produce more blooms. As my first post in many months,just had to give a shout-out to this beauty. I know that NYC is as cold as where I am and challenging to produce such a hot mama as this is,at least for me. Keep 'em coming Bud.